Two recent texts reflect on the current Spanish art scene, both noting the damaging effects of not only the ongoing budget cuts, but on the deleterious political interference in the programming of numerous museums and art centres throughout the country – perhaps the most notorious of which saw the resignation of MUSAC's Eva González-Sancho after three months as director of the León museum, followed by the resignation of the museum's artistic committee. 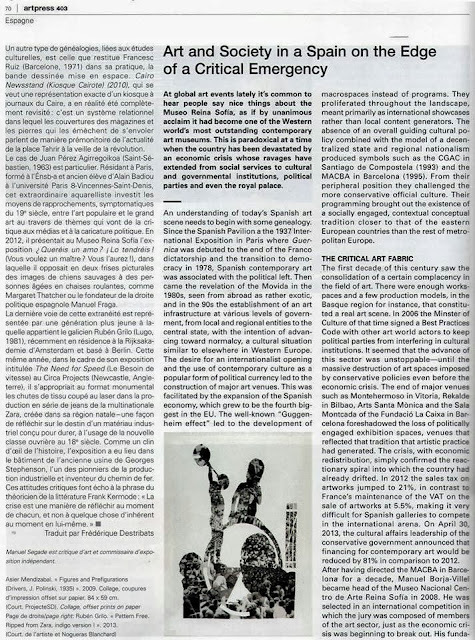 The texts are written by Manuel Segade, a Spanish-born independent curator based in Paris; and by British Barcelona-based curator Max Andrews of Latitudes, offering critical and analytical perspectives from both the inside and the outside of Spain. 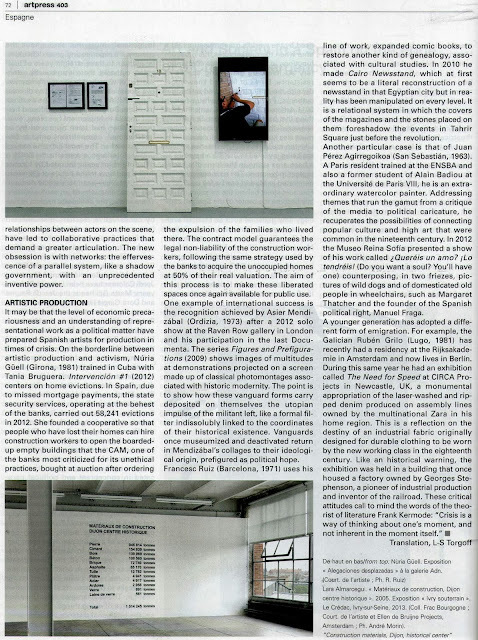 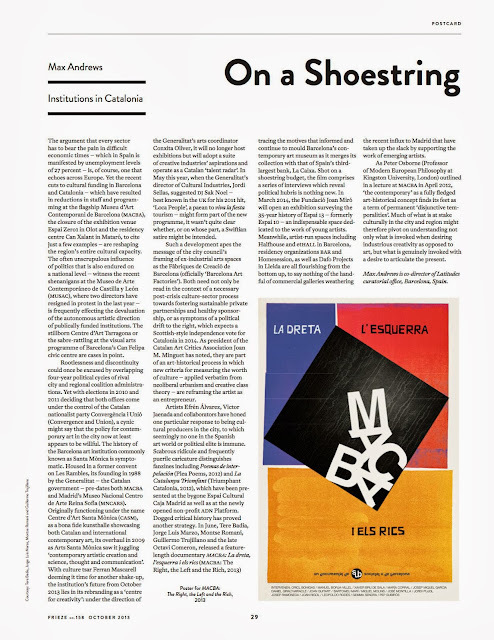 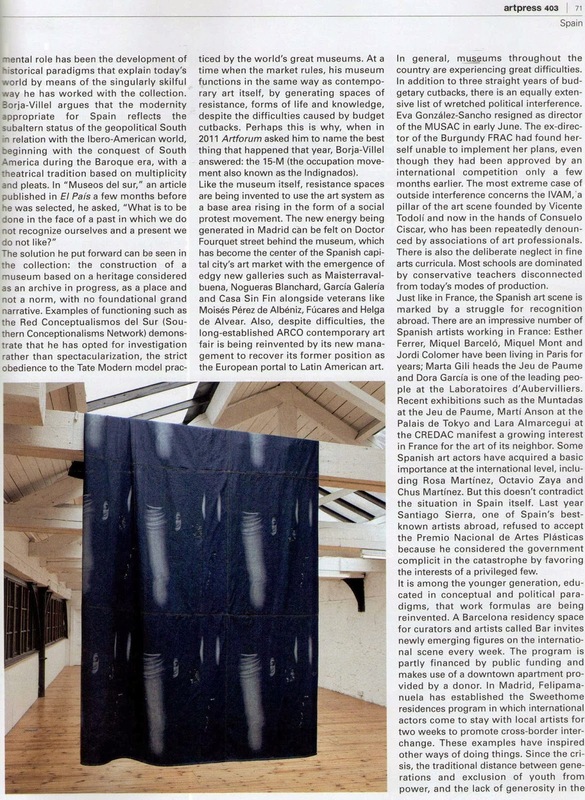 "On a Shoestring – Institutions in Catalonia" written for the October 2013 issue (#158) of frieze magazine by Max Andrews of Latitudes, focuses on the art scene of the Catalan capital and the effects of its cultural policies towards the creative industries. 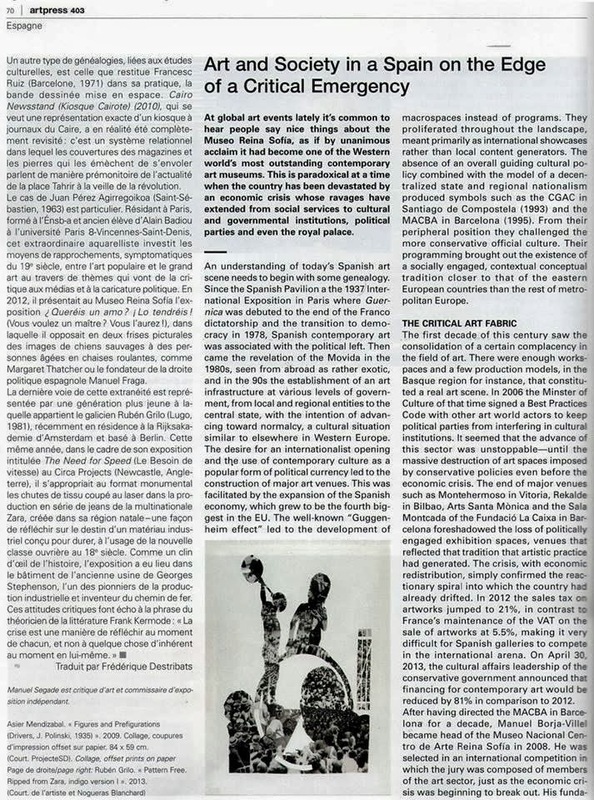 Mentioning the documentary MACBA: The Right, the Left and the Rich (1h 27m, 2013) [watch it here – in Catalan with Spanish subtitles] as an example of a critical strategy, the text questions the direction of the city's politics with regards to art.